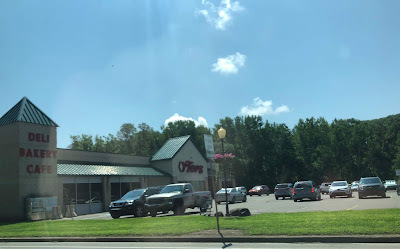 Troy has that iconic Pennsylvania downtown main street, shown here at the end of Canton St. We're going to take a look at the supermarket just outside of the incorporated community, a Tops Market at 684 Elmira St. This Tops looks to have the same decor package as the location in Tannersville, NY, which you can see a tour of here. I don't know whether Troy was ever a Grand Union, though, as that one was.